RENO — Nevada took a gamble on recreational marijuana, and it’s paying off. 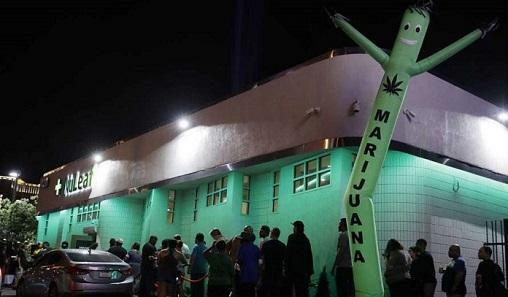 Dispensaries sold $27.1 million of pot in Nevada in July alone. That's almost double what both Colorado and Oregon sold in their first months. It's almost seven times what Washington sold. Banking on weed, Nevada made $10.2 million off the fledgling industry during the first month of sales in July, according to the Nevada Department of Taxation.